It’s been awhile since I’ve really challenged myself with a proper adult high fantasy novel, and I can proudly say that I’m glad it was this one that I took a chance on. 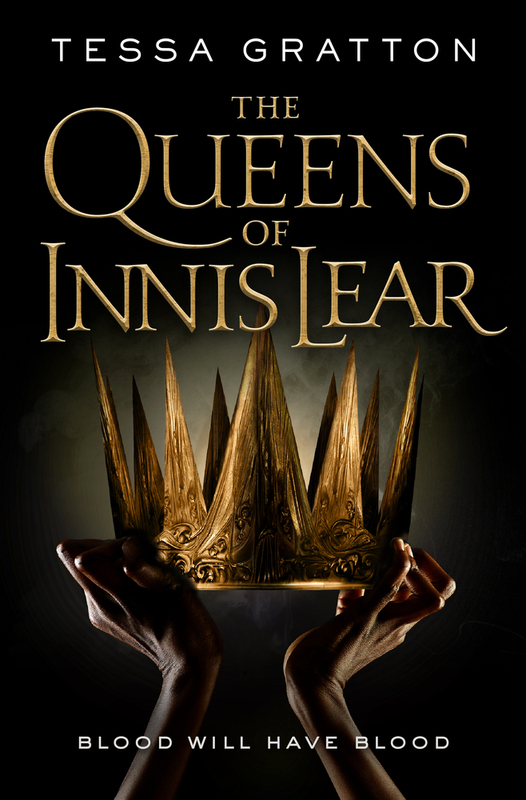 A retelling of Shakespeare’s King Lear, The Queens of Innis Lear faithfully draws on the same interpersonal conflicts between complex, morally gray characters found in the original play,but also infuses their world and societies with a breath of magic that serves to elevate the characters in surprising ways. Make no mistake, this is a novel that makes you work to appreciate it. It likely helps to have at least a cursory knowledge of King Lear before you start – as part of the fun for me was watching the ways in which this book paid respect to its source material, as well as the ways in which it differs. I entered into this with slight knowledge of the original play – having read it years ago – though I did familiarize myself with the source material again through summaries before I started this. I definitely think it only helped raise my appreciation for the labor of love that was clearly worked here. Clocking in at 576 pages long, this is a hefty tome, full of lovely prose that is wildly descriptive without being flowery.My hat is off to Tessa Gratton, for it is clear that she is a gifted author, with an imagination that is as wild as the roots of the White Forest and a depth of skill that must have been drawn from the rootwaters of Innis Lear itself. I sometimes struggle with overly descriptive prose, but here I felt like each word was carefully chosen and suited its purpose well to paint the world of Innis Lear to life. I also enjoyed the way Gratton uses her character’s situations and legacies to her advantage to craft wonderfully gray and layered characters. Never forgetting that King Lear was itself a tragedy, nearly every character is nudged onward down a path of inevitability and destruction that reaches near fevered pitch for the last quarter of the story or so when I could scarcely put the book down. I struggled a bit with the character of Ban the Fox though because he seemed less morally gray than just a really corrupt and selfish individual to me. I know Tessa Gratton wanted him to remain a sympathetic character, but – without spoiling who exactly he corresponds to in King Lear, or what his role was in this – I couldn’t bring myself to see him that way, which sort of messed with my enjoyment of certain points involving his character. There are at least 7 POV characters that are introduced over the course of the story,with most of them being introduced straight away at the beginning. There are also flashbacks incorporated so that we might see these character years before the story begins. That much jumping around made orienting myself to the world a challenge in and of itself. However, once I was familiar with each of the core cast and who they corresponded to in King Lear, things did get a bit easier to manage. 🌟🌟🌟🌟 = 4/5 stars! Sure to become a high fantasy classic! Thank you Netgalley, and Tor for approving me for a Review Copy! Have you read this? What did you think? What about that cover? Isn’t it gorgeous? I’m really looking forward to this! I have had my NetGalley copy sitting on my Kindle for ages…oops. I did the same thing with my eARC, Justine. It’s a heavy and long read, but I thought it was worth it in the end. The character growth is outstanding. Thank you, Jasmine! I definitely think this book requires an attention to details with all the POV characters it has. Looks like I have to read this one now! Thank you for the awesome review. Nice review! I like King Lear, so really intrigued by this one. Great review. I still need to read King Lear though so will probably try the original first before attempting a retelling this big. I think that’s a great idea Jo! This definitely worked for me because I had an understanding of the source material. I think some people might find it slow without that. Well, I think this is the first time I’ve enjoyed a review of a book I know I’ll never read. But the cover is lovely! Hahaha I appreciate the honesty! Thank you – and I agree that the cover is awesome! Happy to have put this one on your radar! I hope you enjoy it! Not my cup of tea, but your review is lovely! Wow, this looks like an intense project to get through. It was seriously imposing when I started it- but it ended up being very worth it. Haha I know what you mean though! I was tempted to put this off and re-read Shakespeare too, but I think this also works with a basic familiarization of the content. Wow! Your review has me wanting to read this! I remember enjoying King Lear in high school, so it would be quite intriguing to see that influence in a story. I think you might like this!! It’s a heavy read, but it ended up really compelling, and has a lot of depth. It does sound like it! I am excited now! Great review! I have never heard of this one before, thank you for putting it on my radar. Great review! Sounds like a beautiful fantasy! Great review, I’ve been having my eyes on this book for quite a while now but I don’t know if I should check it out or not I am kind of iffy about the seven different pov’s. That is a lot of pov’s and characters to read but I might check it out one day. Thank you so much for sharing your awesome post. I definitely agree that it was a LOT of POV characters. It overwhelmed me a bit at the beginning of the book – so I can see how it might turn off some prospective readers. It did get easier as the story progressed though. Great review. Not come across this book before. Looks interesting.